found you guy's with a search. i have a 2005 torrid red a4 gto with 24000 miles. just replaced all rubber bushings with poly bushings ( and all new oem tty nuts and bolts [tty what a scam] ), hd 1/2 inch lowering king springs and 4 koni's set to full firm. it handles great now. no body lean at all. great to see some other new gto'ers here. Welcome! Good to see another GTO on here, also good to hear people are finding us through searches. Seems like a cool gto! Pics please! Hola Amigo, we are an energetic bunch in case u havent realized yet! What do you have planned for the goat? where at in ohio are ya? just typed in pontiac forums and found you guy's. i'll try to post pictures never done that before though but i will try. emily.todd - that was not me. the goat stay's around dayton. phenom- i have the interior apart right now. i am changing speakers ( just can't decide which ones to get) and running all new wires and changing the radio.i am relocating the battery to the trunk too. i have fiberglassed on 3 gauge pods to my a pillar - i have some exact headliner material and will be wraping it next weekend hopefully and i made a 1 gauge insterment cluster surround and i purchased a gator pod for the dash so i will have added 6 gauges when all is done. also next week i will be welding in some bungs into my headers and than taking them to piqua , ohio to get them coated inside and out. but i am still amazed by changing out the rubber for poly and the addition of koni's and kings , the way this thing handels now. 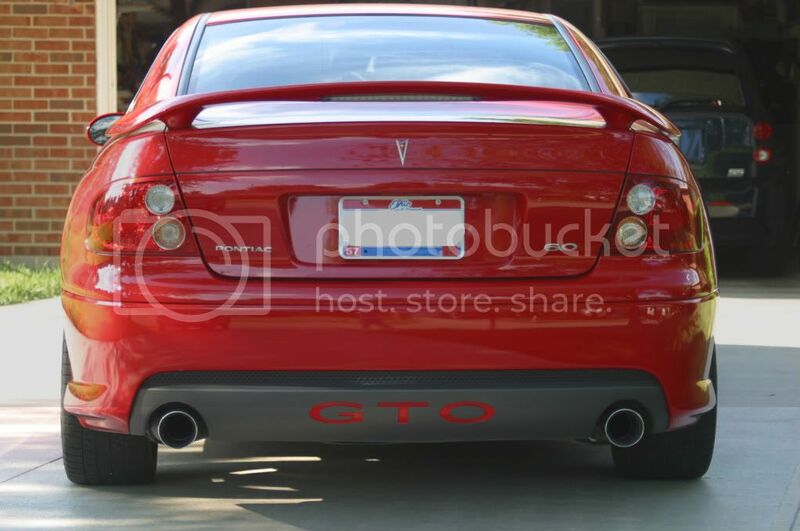 if you have a gto and have not got rid of the oem rubber you guys have got too.it makes a great car that much better. Holy run on sentences Batman. Posting pics is very easy, I recommend signing up to Photobucket.com. Photobucket uploads them, and for each pic, has a code for using it on forums and such. For forums, you need the tagged ones. hmmm...thats weird. 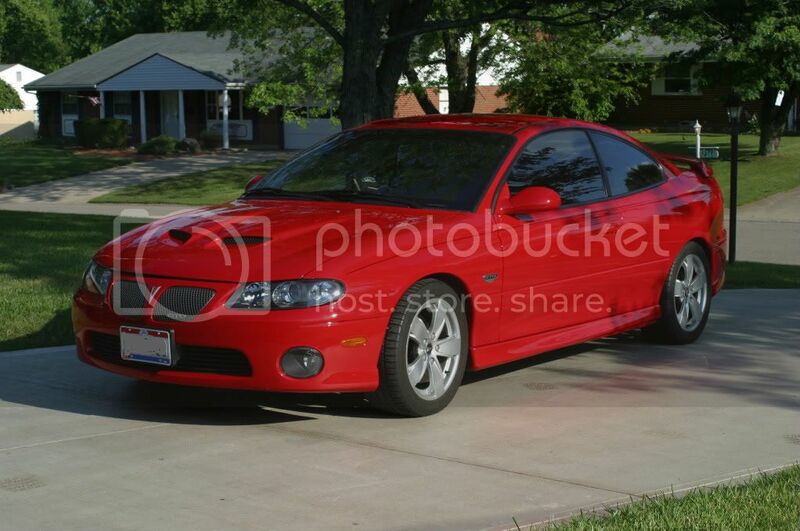 that looks like the GTO thats on my driveway nao. (in G-Lo's voice) i can never do nothing! can someone move that red sh@t box its in the way I cant see the HHR?